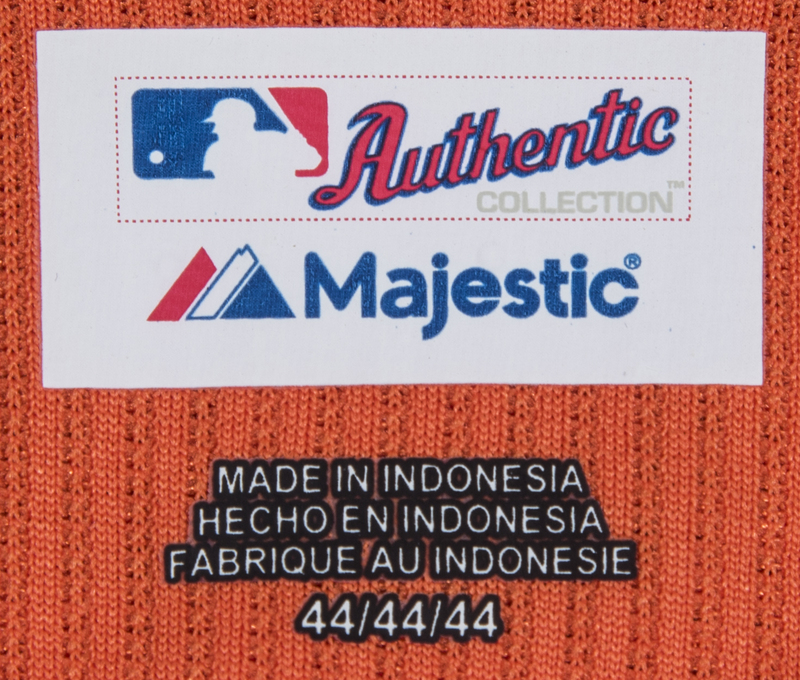 Washington Nationals manager Davey Johnson wore this orange and blue National League All-Stars batting practice jersey during 2013 All-Star Weekend at Citi Field. This was a homecoming of sorts for Johnson, who skippered the Mets to their most recent World Series title in 1986, albeit at Shea Stadium. 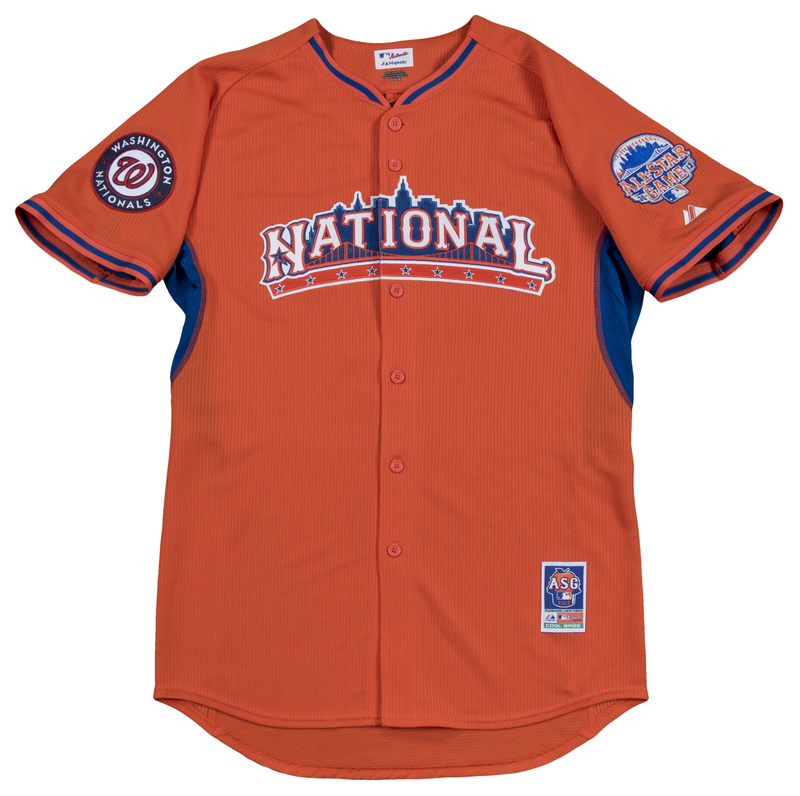 This blue batting practice jersey has a National League patch sewn on the chest, a Nationals logo patch sewn on the right sleeve, and a 2013 All-Star Game patch sewn on the left sleeve. 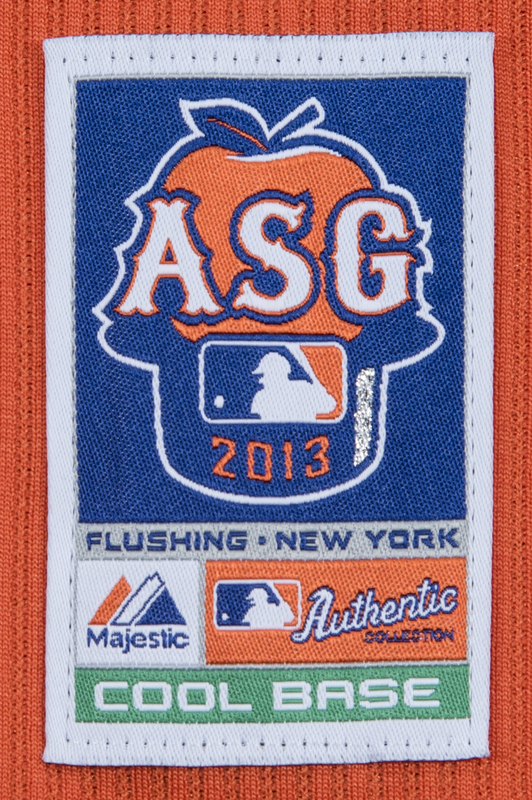 A Majestic tag is sewn on the front left tail of this All-Star jersey. Johnson has signed the “5” digit on the back of the jersey in silver marker. 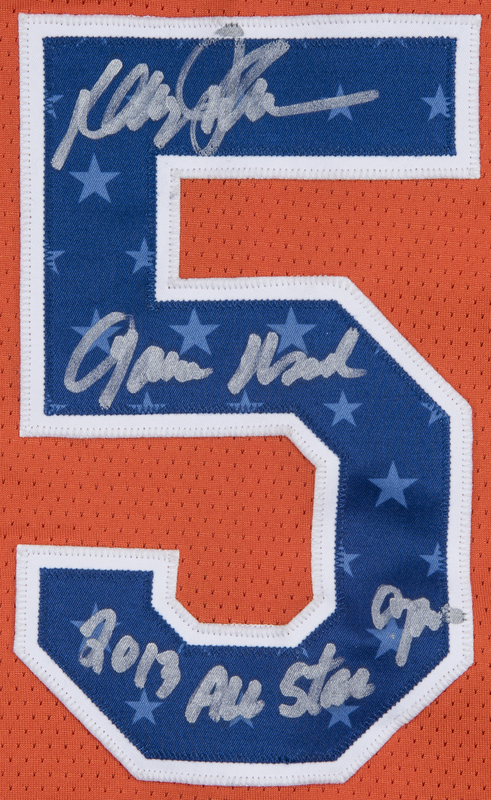 He inscribed “Game Used 2013 All Star Game” in addition to his signature. 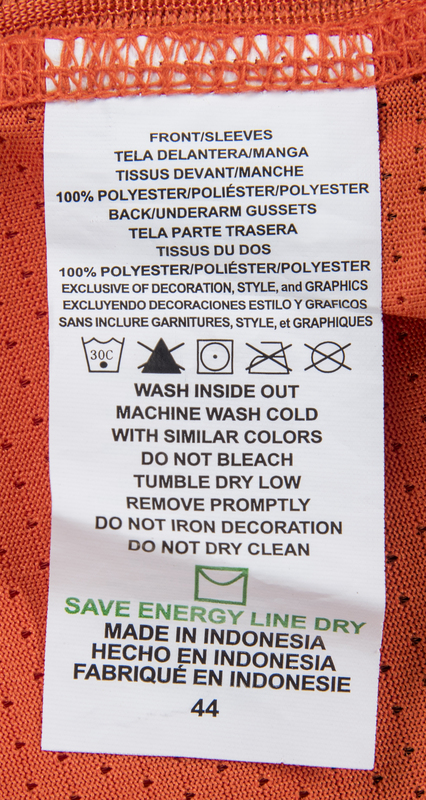 “JOHNSON” is sewn across the back shoulders in white tackle twill. 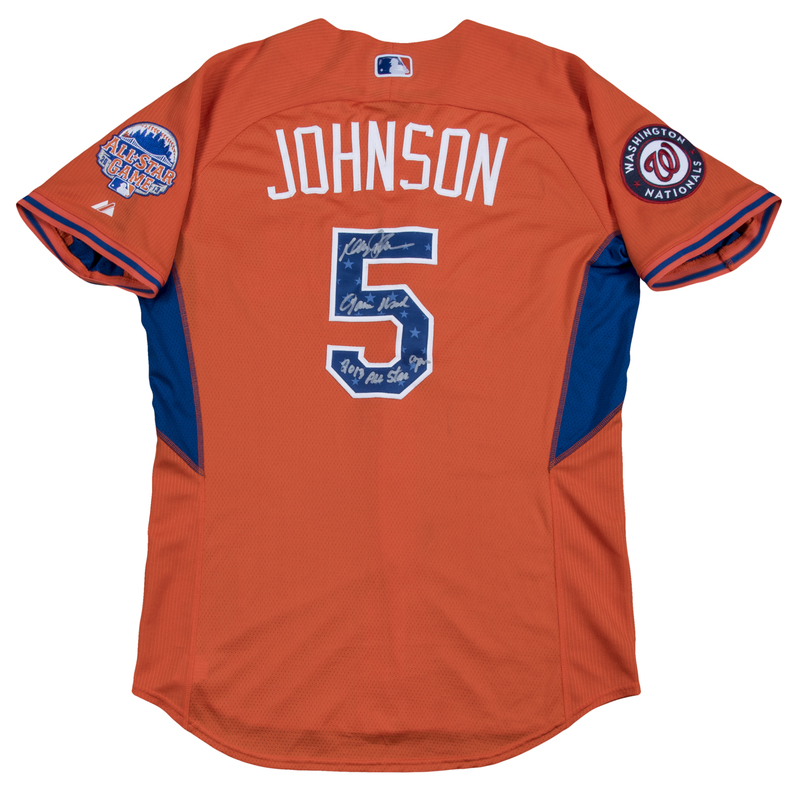 Johnson’s number “5” is sewn on the back in blue and white tackle twill with a star pattern. 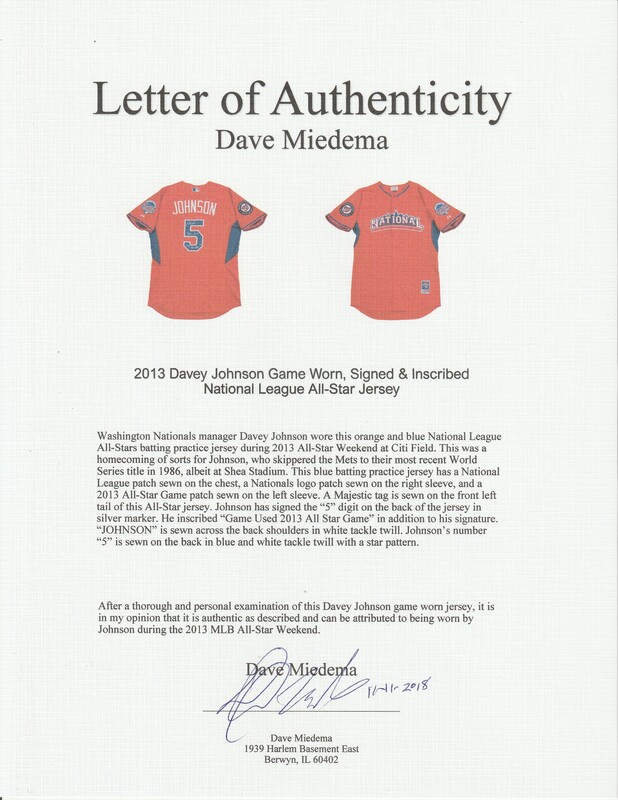 This jersey comes with a COA from JSA (AA82292) and a LOA from noted game used expert Dave Miedema.